Get cash fast. If you live in Wilmington, DE, fill out our simple 30-Second Application to find out how much money we can send you. If you have been involved in a car accident in Wilmington, Delaware due to the negligence of another person and need immediate lawsuit funding against your claim, let Interstate Lawsuit Funding get you the litigation funding you need. 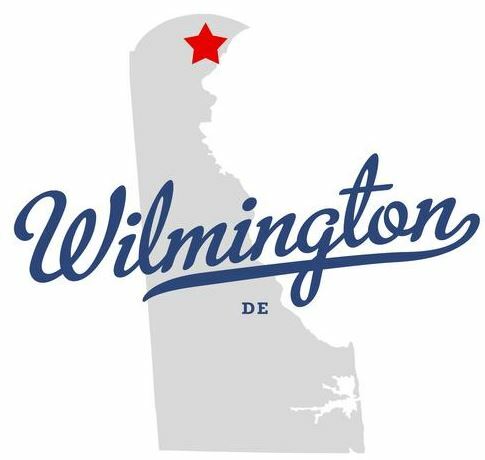 As 2013 came to a close, residents of the city of Wilmington and New Castle County were excited to celebrate the new DUI highway checkpoints, the first of which took place on December 27th. The second scheduled checkpoint took place on December 31st. Delaware State Police announced the new checkpoints and wanted residents and out-of-state travellers to be aware that they were increasing efforts to stop and arrest those who drove while under the influence. The Delaware Office of Highway Safety reported nine people injured in car accidents and two fatalities since Thanksgiving, due to drunk driving. Between Thanksgiving 2012 and New Year’s Day 2013, 54 people were reported injured in drunk driving related accidents and three people were killed. Now, the city of Wilmington and the state of Delaware have cracked down on drunk driving offenders by issuing harsher penalties, heftier fines, and more jail time. Being injured in a car crash due to the negligence of another person qualifies Wilmington residents for an immediate decision lawsuit loan through Interstate Lawsuit Funding. Our loan professionals also work with the families of those killed in such cases to ensure they too receive the necessary pre-settlement funding while they await their final settlement. Intestate Lawsuit Funding works with plaintiffs all across Wilmington, Delaware on many different case types including slip and fall, car accident, medical malpractice, discrimination, personal injury, wrongful death, wrongful termination, and more (see Types of Cases We Fund). Interstate Lawsuit funding makes securing a lawsuit loan cash advance for Wilmington residents quick and easy. While your case goes through litigation, a cash infusion of $1,000, $2,000, or up to $5,000 can be critical. The litigation process, depending on the complexity of the case, can be a long and volatile process and can leave the plaintiff in a financial bind. No one wants to settle with insurance companies for the minimum amount, and we believe you shouldn’t. If you’ve hired an attorney to take on your case, chances are your case has credibility and shouldn’t be undermined by the greed of insurance companies. While your attorney works to get you the settlement you deserve, Interstate Lawsuit Funding’s highly trained loan professionals can work to get you the lawsuit loan cash advance you need. If you are a resident of Wilmington, Delaware or surrounding area and need a lawsuit loan cash advance, take advantage of Interstate Lawsuit Funding’s quick and efficient application process. All cash advance lawsuit loans offered through Interstate Lawsuit Funding are considered nonrecourse, which means the plaintiff only pays back the loan if their attorney successfully wins the case. Otherwise, there is no obligation to the client. The decision to provide funding is based solely upon the merit of your case. There is no credit check to get started and no proof of income necessary. Interstate Lawsuit Funding specializes in immediate decision pre-settlement funding for plaintiffs in and around Wilmington. We promise a quick decision, fast funding and notable expertise. Start your 30-second application here. 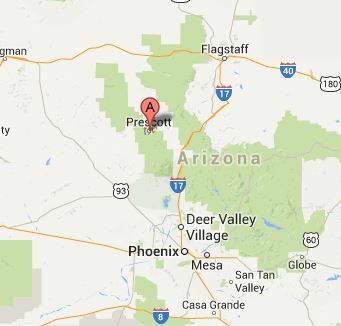 Violation of Safety Standards Leading to Personal Injury Qualifies for Lawsuit Funding in Prescott, Arizona and Surrounding Areas. Get a loan in advance of your lawsuit settlement. A wildfire in Yarnell, Arizona, ignited by lightning, is now listed as the sixth deadliest American firefighter disaster and the deadliest wildfire ever in the state of Arizona. Now, nearly six months after the disastrous fire, The City of Prescott is continuing to receive claims regarding the Yarnell Hill Fire, where over 100 homes were lost and 19 firefighters with the Prescott Fire Department’s Granite Mountain Hotshots were killed. So far, 91 claims were received from Yarnell residents and 17 claims from Granite Mountain Hotshot family members accusing state and local officials of failure to provide adequate equipment to the firefighters involved, ignoring fundamental firefighting procedures, and negligence to oversee the fire. As explained by one personal injury lawyer in Phoenix, Arizona law allows an individual 180 days to file a Notice of Claim, which is not a lawsuit, but a notice to parties being sued that if action is not taken, a lawsuit will be filed against that public entity or employee. A lawsuit must be filed within one year of the date of loss. One mother of a 21-year-old firefighter who died in the fire has filed a claim for $36 million accusing officials of negligence. In this case, the residents of Yarnell who lost their homes and the families of the City of Prescott firefighters who died during the fire could be eligible for lawsuit funding with a lawsuit cash advance if they decide to hire an attorney to take on their personal injury case. Most of these distressed residents and family members would be willing to settle out of court, however they would not receive the full monetary compensation they deserve for their losses. Instead of settling, litigation funding for a personal injury claim could help ease the financial burden while the case goes through litigation. While the plaintiff’s attorney works to win against local and state officials, pre-settlement funding could be used to pay household bills, medical expenses, rent, or mortgage. With Interstate Lawsuit Funding, all loans are considered non-recourse, which means if your attorney does not win your case, you are not responsible for repaying the lawsuit loan. The highly trained loan professionals at Interstate Lawsuit Funding have years of experience working with residents in the state of Arizona, getting plaintiffs the quick decision lawsuit loan cash advances they need while in the beginning, middle, or ending stages of litigation. Interstate Lawsuit Funding’s decision to provide litigation funding is quick, easy, and precise and the funding process is fast, made on the best terms for residents of the City of Prescott, Yarnell, and the surrounding area. Funding is available for the following personal injury cases: Burn Injury, Construction, Class Action, Animal Attack, Wrongful Death, and more (Types of Cases We Fund). If you live in Connecticut and are searching for a quick decision lawsuit loan, start by applying online with Interstate Lawsuit Funding. Individuals in Connecticut get get a lawsuit cash advance fast. No risk. No credit check. Thanksgiving weekend is the busiest travel time of the year. This year, more accidents occurred over Thanksgiving weekend across the state of Connecticut than last year and more people were injured in those accidents according to a report by Connecticut State Police. In 2013, there were approximately 560 accidents on Connecticut roads and highways over that weekend, an increase from the approximate 400 accidents that took place in 2012. In the state of Connecticut, an injury due to the negligence of another person is considered personal injury and is grounds to file a personal injury lawsuit against the negligent party. In Hartford Connecticut, a woman driving a Saab collided with a Nissan on Interstate 84, leading to one death and multiple injuries. With an attorney and a strong case, a wrongful death claim could be pursued, as well as personal injury claims. At Interstate Lawsuit Funding, personal injury, wrongful death, negligence, and car accidents, among many others, are all types of cases that qualify Hartford residents for pre-settlement funding. Car accident injuries often lead to missed time at work, resulting in lost wages. With an attorney, Hartford plaintiffs can fight to win the money they deserve for their lost compensation, medical bills, hospital bills, and living expenses. The individuals injured in the crash on Interstate 84 could settle with the insurance companies for quick cash, but they most likely would not be fairly compensated the entire worth of their case. Instead, a cash infusion in the form of a lawsuit loan would better suit the injured. This immediate decision cash advance would give the plaintiff financial security while the attorney diligently worked to win the case. Intestate Lawsuit Funding provides personalized litigation funding specific to our clients’ needs. We provide immediate decision lawsuit loans for personal injury and commercial litigation funding to Hartford residents so that quick cash is available for immediate use. All Hartford, Connecticut residents are eligible for lawsuit funding and the application process is fast, approval time is quick, and cash of up to $5,000 is available immediately. If you are a resident of Hartford, or any town in Connecticut searching for a lawsuit loan, apply with Interstate Lawsuit Funding today. All lawsuit loans through Interstate Lawsuit Funding are considered non-recourse, which means we only get paid when your attorney wins your case. If, for some reason, your case is not won, there is no obligation to pay any money back to us. We only get paid when you get paid. Interstate Lawsuit Funding also does not require proof of income or a credit check to get started. There is absolutely no risk to you. Our decision to provide pre-settlement funding is based solely upon the merit of your case. To start, consider all expenses and costs of your case, have your attorney evaluate your claim, and contact us today for your lawsuit loan.